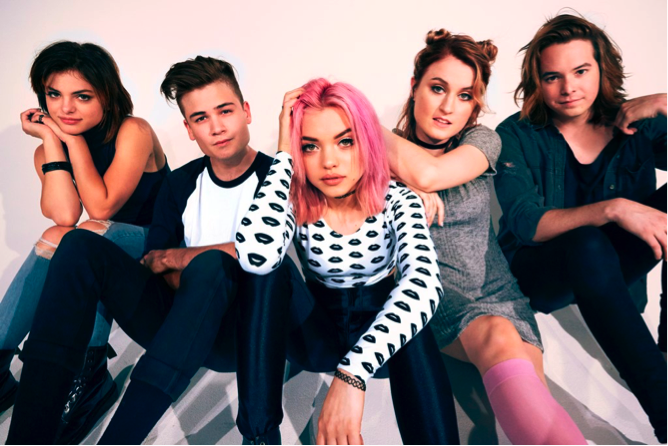 Hey Violet have released their debut album From The Outside, which can now be streamed in its entirety below. Those who purchase the album at Target will also receive three additional bonus songs and a limited edition vinyl version of the L.P. will be available exclusively at Urban Outfitters. The band co-wrote songs on the album which was produced by Julian Bunetta. Says front woman Rena Lovelis, "We've been building our sound for about two years now and it feels really good to finally be able to share the album! There is a lot of variety on the record, but these are all songs that we hope you wanna go on long drives and listen to."